They provide support, education and resources to foster a proud, resilient and diverse LGBT2SQ+ community. For youth, for adults, for newcomers, for families for 55 +/-. Please click the logo for more info! L*ACE is a casual Winnipeg social group for lesbians* d’un certain age. Only the women who are part of the group (email praxis2121@gmail.com to be added) have access to the information on the website, which is used to coordinate groups of people who’d like to attend arts and cultural events in and around Winnipeg together. There is no set schedule for events or planning meetings, but something is likely to be happening once or twice a month. Please click the picture to visit their website. Women's tackle football, no football experience necessary! They're open for all women aged 16+. 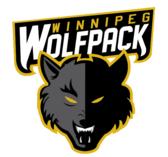 They compete in the Western Women's Canadian Football League (WWCFL) that spans over Manitoba, Saskatchewan and Alberta! They're also a non-profit. Check out their website by clicking the image. 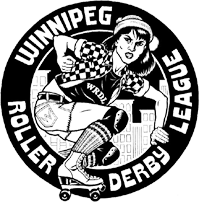 Women’s flat track roller derby is one of the fastest-growing sports in North America! It’s a lightning-paced, hard-hitting, full-contact sport that will keep you on the edge of your seat. Please click the picture to go to their website. A place for all gay, bisexual, trans, two-spirit, queer, and questioning men who are 18+ to come together in a safe, comfortable and inclusive environment. Their contract exists in a Facebook that you must request to join in order to receive updates. Please click the image to visit the Queer Men's Group Facebook page! Over the Rainbow is a social group for the 55+ LGBT2SQ+ folks in Winnipeg and surrounding area. Please visit their Facebook group by clicking the image. Out Golf is a group of men and women that gather once a week during the summer (weather permitting) on Thursday evenings around 6pm at various golf clubs in the Winnipeg area. They play 9 holes and have players of various skill levels. All are welcome! Please click the image to take you to their website.